Combined with the lab-tested sweat- and water-resistant design, this allows you to forget about your earphones and concentrate on your workout. Whatever activity you choose, the M6 will match your pace. Combined with the lab-tested sweat- and water-resistant design, this allows you to forget about your earphones and concentrate on your workout. Whatever activity you choose, the M6P will match your pace. Bluetooth wireless fidelity - Lose the wires but keep the sound quality with the wireless fidelity of the Air-Fi Venture. The full range 40 mm drivers provide deep, enhanced bass while retaining clean midst and highs, satisfying bass addicts and casual listeners alike. Trending at $17.49eBay determines this price through a machine learned model of the product's sale prices within the last 90 days. Everything is in new, unused, condition. I own my own pair of these headphones myself and have been using them for everything, including listening to music and gaming. SPORT-FI S6P. Combined with the lab-tested sweat- and water-resistant design, this allows you to forget about your earphones and concentrate on your workout. Sport-Fi S6P in-ear earphones. 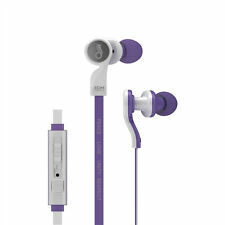 Noise isolating in-ear design with energetic sound and enhanced bass. MEElectronics CC51P IEM Headphones - Graphite - Brand New! These are new in a sealed box. These are the dark graphite color version. The housing itself is constructed of ceramic, so they are pretty tough and durable. You will get what is pictured at a reduced price. Do you want to hear details in your music that you may be missing with other earbuds/earphones while still having fantastic bass slam and clarity?. The M11P retains the great midrange of the M11P but with enhanced bass and treble, increasing the bass weight and depth as well as adding more treble presence that brings out the details of your music. 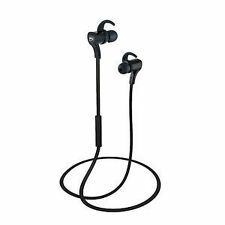 An over-the-ear design with flex-fit earhooks and self-adjusting nozzles provides a locked-in, comfortable fit in ears of all shapes and sizes while the clear and dynamic sound, sweat-proof construction, and integrated headset functionality let you focus on your music and workout. The Air-Fi Touch wireless headphones transform the listening experience from ordinary to extraordinary with a high-tech design, sophisticated styling, and exquisite sound quality. We apologize for your inconvenience. The EDM Universe In-Ear Headphone has a 1 year warranty. Driver: 9 mm ultra high performance drivers with neodymium magnets. The EDM experience is all about fun, energy, color, and carrying on a lifestyle that embodies the ideals of peace, love, unity and respect (PLUR). Nobody was ignored. 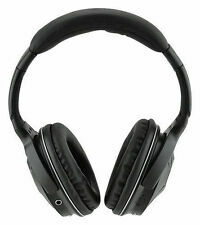 Versatile stereo headphone can be used both wired (audio only) and wirelessly with phones and tablets. Can be used both wirelessly (bluetooth) and with wires. Headband is adjustable. Includes everything I originally got with it: the travel bag (a little dusty from lying around for a while), the USB charging cable, and the audio connection cable. LOCKED-IN FIT Flex-wire earhooks conform perfectly to your ears, providing the most secure fit for any activity, while the light weight and ergonomic earpiece design ensure hours of comfortable wear. Wear them cable-up or cable-down; they are designed to fit snugly either way. The cable is detachable and features standard MMCX and 3.5mm connectors. OFC Audio Cable with Inline Microphone and Remote. 40mm dynamic driver. No soft case. cable length: 51". Sport -Fi Meelectronics Ear Phone With Ear Buds EUC With Case. Condition is Used. Shipped with USPS First Class Package. Swarovski Crystals Ear Candy - For you, a friend or a loved one. Chic and stylish earphones made with genuine Swarovski Crystals. Swarovski Crystals. The Crystal is a great addition to any trendsetter's accessory collection. Chic and stylish earphones made with genuine Swarovski Crystals. Made with Swarovski Gold Crystals. Built-in microphone and remote for phone calls and music playback. Color: Black / Gold. NEW IN ORIGINAL GIFT BOX. MEElectronics HP-AF80-BK-MEE Headphones - White/Blue Bluetooth Earphones. Condition is Seller refurbished. Shipped with USPS Priority Mail. 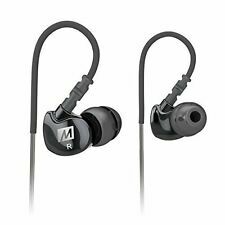 MEElectronics M6 In-Ear Only Headphones - Black. Condition is Used. Shipped with USPS First Class Package. The Crystal M11J has a 1 year warranty. Made with Swarovski Crystals In-Ear Headphones with Microphone. Included with your bundle. Built-in microphone and remote for phone calls and music playback. The brilliance of the Crystal is more than skin deep. Lose the wires but keep the sound quality with the wireless fidelity of the Air-Fi Venture. The full range 40 mm drivers provide deep, enhanced bass while retaining clean mids and highs, satisfying bass addicts and casual listeners alike. ONE OF THE BEST SOUNDING KIDS HEADPHONES ON THE MARKET. HEADPHONES ARE PINK & WHITE IN COLOR. If the item is missing any accessories it will also be listed. If there are any surface marks we will state this and show photos. Wireless & Bluetooth. Wireless Type. Input Impedance. 20Hz–20KHz. Frequency Response. Driver Unit. General SPEC. Maximum power: 50 mW. Inline microphone, remote, and sports armband. EDM Universe On-ear Headphones. When not in use, the EDM Universe headphones fold up and fit into the included crush-resistant carrying case. 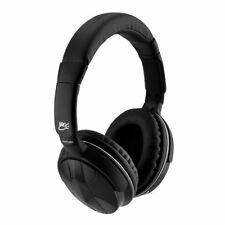 Tuned for EDM with enhanced bass, spacious sound, and excellent dynamics. Made with Swarovski Crystals In-Ear Headphones with Microphone. The brilliance of the Crystal is more than skin deep. Small size and a variety of flexible, hypoallergenic silicone ear fittings keep the earphones securely in place and provide superb comfort in petite ears. Inline Microphone and Remote. The gold-plated 1/8" stereo plug is compatible with iPhones, iPads, iPods, other smartphones, and tablets. 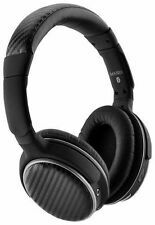 In addition, the headphones have a frequency response of 20 Hz to 20 kHz.